Personal injury attorneys spend countless hours getting a great result for their clients. If the injured client is a minor or is relying on needs based public benefits, the assistance of a settlement planning attorney can be useful in guiding the personal injury attorney through these complex legal areas so the injured person’s matter can be efficiently resolved. The injured person will receive long lasting benefits as a result of settlement planning. Settlement planning attorneys (also known as estate planners or special needs attorneys) can assist with understanding public benefits and help the injured person decide whether a special needs trust or other planning tools are most appropriate, on a case by case basis. Settlement planning attorneys quickly determine whether an adult with capacity can establish a special needs trust to preserve crucial public benefits, whether court involvement will be necessary, or if the establishment of a conservatorship should be considered. Settlement planning attorneys work with the injured clients and their trusted loved ones to create and execute a settlement plan that will help the injured person meet the injured person’s goals and needs. This article will help personal injury attorneys identify when settlement planning is needed and how to recognize issues that could cause problems for their clients. How do personal injury attorneys know when it’s time to use a settlement planner? Personal injury attorneys should know whether the injured party is on needs based public benefits. Usually, the personal injury attorneys are aware of the fact that their client is on Medi-Cal because of their access to multiple medical records and bills. The personal injury attorneys have a gut feeling that they need to do something to help the injured persons protect their benefits, but the injured persons do not seem very concerned about keeping their benefits or the consequences of receiving even a modest settlement. The injured persons assume the settlement proceeds will last much longer than they ever really do, they don’t want to be on Medi-Cal in the first place, or they feel that they will just spend the money immediately and not lose benefits. When the injured persons lose their public benefits, they will struggle with how to get back on the benefits and the settlement proceeds are quickly used up. It is not up to the personal injury attorneys to protect the injured persons from every single bad thing that could happen and the personal injury attorneys are not suddenly required to become an expert on settlement planning. However, it would be beneficial for personal injury attorneys to know some basic information on how the settlement is going to affect their client’s eligibility for public benefits. Some courts have held that not considering and planning for the client’s means-tested government benefits can result in a legal malpractice claim. See the unreported Texas cases Grillo v. Pettiette, et al. 96-145090-92 (96thDist. Ct., Tarrant Cty., Texas); Grillo v. Henry Cause, 96-167943-96 (96thDist. Ct., Tarrant Cty., Texas). Courts have also found that not considering and planning for the client’s means-tested government benefits can result in a breach of fiduciary duty or dereliction of duty if not considered by a fiduciary or denied by a court. Department of Social Services v. Saunders, 247 Conn. 686, 724 A. 2d 1093 (1999). At a minimum, the personal injury attorney should protect himself/herself by informing the client of how settlement planning can assist the injured party with management of the settlement proceeds and if the injured party chooses not to utilize settlement planning, the personal injury attorney can document the file that the advice was given and ignored or refused. This is where settlement planners can assist the personal injury attorneys. 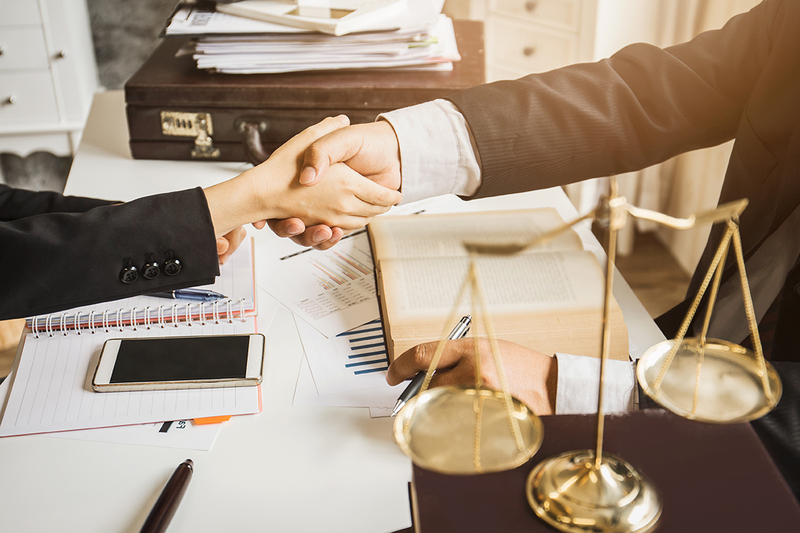 Using a team approach, the settlement planner can look at the injured person’s big picture and bring in financial planners, structured settlement brokers, accountants, public benefits specialists, and private fiduciaries, depending on the person’s needs. No one person can address all of the issues that come with settlement planning. The personal injury attorney can rest easy knowing that he or she has done a necessary service for the injured person. To help guide you, as the personal injury attorney, Robinson & Fulton Law has created a useful checklist to determine if you should require assistance from a settlement planner. We hope that it is useful in your daily practice. How do personal injury attorneys know if the injured party is on needs based public benefits? Why does the personal injury attorney need to assist the client in understanding what types of benefits the client receives? Not every injured person needs to consider settlement planning. The first question the personal injury attorney should ask the injured party is: “What type of benefits do you receive?” The answer is almost always inevitably, “Disability.” However, not all disability benefits are needs based. Injured parties on entitlement benefits, such as Social Security Disability or Medicare, are not required to do any settlement planning. Injured parties on needs based public benefits, such as Supplemental Security Income (SSI) and Medi-Cal, need to consider settlement planning. Other programs, such as CalFresh (food stamps), Housing Choice Voucher Program (Section 8 housing) and In Home Supportive Services (IHSS) can all have a needs based component to them and should also be considered in settlement planning. If the injured party is not quite sure what type of benefits he or she is currently receiving, Social Security can be contacted and a benefits statement can be provided upon request of the injured party or the representative of the injured party. Injured parties can receive a combination of Medicare, Medi-Cal, Social Security Disability and SSI. According to Social Security, an adult person is considered disabled if the person has a physical or mental impairment that will last 12 months or longer (or will soon lead to death) that prevents the person from engaging in substantial gainful employment (working and earning $1,180 a month). A person under this definition of disability should qualify for SSI if that person has low monthly income and has resources worth less than $2,000. Exemptions do exist. A person can own one primary residence, one vehicle of any value, irrevocable pre-paid funeral contracts, etc. If a person can qualify for even $1 of SSI, the person will automatically qualify for Medi-Cal. However, a person CAN qualify for Medi-Cal based on the poverty level and not based on disability. These individuals will be unable to create a special needs trust as only disabled persons can create special needs trusts under 42 U.S.C. section 1396p(d)(4)(a). SSI is a federal program that provides a modest income stipend to persons who meet a certain eligibility criteria. SSI will pay a person up to $910.72 per month in California in 2018. SSI is available to those over 65, who are blind or disabled, as long as they meet the resource and income limitations. A person receiving SSI will be penalized for 36 months for gifting away assets. Public benefits are incredibly complex and the injured parties rarely understand the complexities behind the benefits they receive. As a personal injury attorney, it is crucial that you assist your client in determining what benefits the client receives. If there is any question that your client receives needs based public benefits, any amount of settlement proceeds will likely change your client’s future benefits. A settlement planner should be consulted to determine the exact benefits that your client receives and the best course of action to take for your specific client. Each individual is different and each of the injured party’s unique circumstances should be considered when engaging in settlement planning. What tools are used to maintain needs based public benefits and planning for the injured person’s post-settlement financial life? ► Invest the settlement in “exempt” resources (the “spend down approach”). A primary residence, a vehicle, and certain other items do not count toward the asset/resource limitation for needs-based public benefits. For example, the injured person can use the settlement proceeds to purchase a home, improve the existing home, buy medical equipment or purchase a car, and still maintain needs-based public benefits. ►Fund an ABLE account. An ABLE account can be funded with up to $15,000 per year. A disabled individual can only have one account and can only create an account if the disability occurred prior to the age of 26. A helpful website for information on all 50 states’ ABLE accounts and a tool to compare each state’s program to other states can be found at www.ablenrc.org. ►Transfer settlement funds to a pooled trust. The pooled trust, also called a (d)(4)(C) trust, is a trust established and managed by a nonprofit association. The pooled trust management invests the assets and makes distributions to the beneficiary. It can be used in conjunction with a structured settlement and it is the only viable trust option available to preserve needs-based public benefits for persons over the age of 65. ►Establish a first party special needs trust. A first party special needs trust (SNT), also known as a litigation SNT, payback SNT or a (d)(4)(A) trust, is used when an individual receives assets, such as a settlement or an inheritance, which would otherwise disqualify that person from receiving needs-based public benefits. 42 U.S.C. 1396p(d)(4)(A) authorizes the creation of the first party SNT wherein the settlement proceeds may be retained in the SNT for the sole benefit of the injured person with a disability who is under the age of 65 without the injured person losing eligibility for needs-based public benefits. The first party SNT also must provide that, on the death of the beneficiary, the trustee must repay Medicaid (Medi-Cal) for all benefits received by the beneficiary during his or her lifetime to the extent that funds remain in the trust at the beneficiary’s death. The first party SNT provides flexibility to the injured person by allowing the injured person to choose a trustee who will manage the assets for the injured person and by allowing the injured person and trustee to choose the investment options that work best for the injured person. The first party SNT integrates well with structured settlements, Medicare Set Aside arrangements, investment accounts and non-liquid assets. During the injured person’s lifetime, the first party SNT can pay for several types of items to enhance the injured person’s quality of life. ►Gifting of the assets when the injured party is on needs-based public benefits, but is not “disabled”. In certain circumstances, an injured person may be on needs-based public benefits, such as Medi-Cal, but does not meet the definition of “disabled” under the Social Security Act. In these rare occasions, our firm can help design a plan in which the injured person participates in a “spend down approach” as described above, and/or a gifting of assets to a trusted family member who can then protect these assets for the injured person. This is a complex area and requires very careful planning that is dependent on the injured person’s specific situation. What are the most frequently asked questions that personal injury attorneys have? ►Can I still put the injured person’s money in my trust account? Yes. However, it cannot just sit there for a long period of time (could result in a loss of public benefits to your client) and if you attempt to make small distributions over a long period of time, it will still result in a loss of benefits to your client. ►If my client engages in settlement planning, will it hold up disbursements from my trust account for fees and costs and other liens? No. It is beneficial to get a settlement planner involved early for a multitude of reasons. The personal injury attorney can still negotiate liens and make disbursements as necessary while settlement planning is occurring. ►Do the defendants/insurance companies have to fund the injured party’s special needs trust directly or cut separate checks for the amount to be funded into the injured party’s special needs trust? No. The personal injury attorney can receive the checks in the same manner as they always do. The personal injury attorney can then make the check from the trust account payable directly to the trustee of the special needs trust. ►Do I need to have special language put into the settlement release? No. Your client will still receive the settlement proceeds as usual. The planning will be done by the client post-settlement, so settlement planning has no effect on the release language. ►Is the injured party required to do a structured settlement? No. The injured party needs to look at the person’s individual needs and circumstances. Involving a team helps the injured party to see the big picture and make wise investment decisions. What worked for your last client is not going to work for this client. ►If I have my client receive a structured settlement with small payments, won’t that keep my client on public benefits? No. The amount held in the structured settlement would likely still be considered an asset or resource of your client. The structured settlement should be used in conjunction with a special needs trust. ►Do I need to do a Medicare Set Aside Trust for my client? The answer is maybe. This is a decision that needs to be carefully considered by the personal injury attorney with the settlement planner. If a Medicare Set Aside trust is necessary, it should be placed within a special needs trust, or the money funded in the Medicare Set Aside could be considered a resource or asset and your client could lose benefits. ►If I have my client put the settlement proceeds into a special needs trust, can I avoid paying the Medi-Cal lien that I have received? No. Pursuant to 42 U.S.C. §1396a, 42 U.S.C. §1396k, and 42 CFR §§433.145-433.146, when reimbursement is sought from a third party through an assignment provisions, the state is the first to retain that portion of any amount collected as is necessary to reimburse it for medical assistance payments made on behalf of an individual with respect to whom such assignment was executed and the remainder of such amount collected shall be paid to the individual. See the line of cases that have determined that the recipient’s settlement funds first must satisfy the state’s lien and the remainder then may be transferred to a special needs trust: Cricchio v. Pennisi,90 N.Y. 2d, 683 N.E. 2d 301 (1997); Cuello v. Valley Farm Workers Clinic, Inc.,91 Wn. App. 307, 957 P.2d 1258 (1998); In re Estate of Calhoun, 291 Ill. App. 3d 839, 684 N.E. 2d 842 (1997). This article was published in Fall 2018, Volume XIII, Issue 3 edition of The Litigator, the official publication of the Capitol City Trial Lawyers Association and was co-authored by Ashley Clower and Margaret Heiser Fulton.